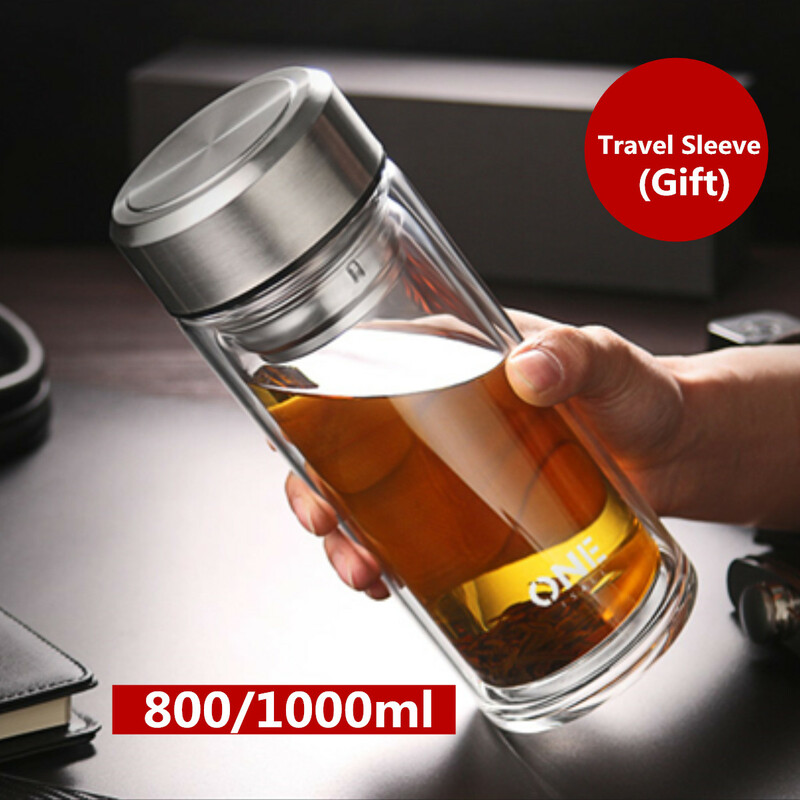 Large Capacity :800/1000ML,double wall insulated glass,comes with a stainless steel tea infuser & lids,includes a NEW Travel SLEEVE,is the perfect BOTTLE for carrying daily. 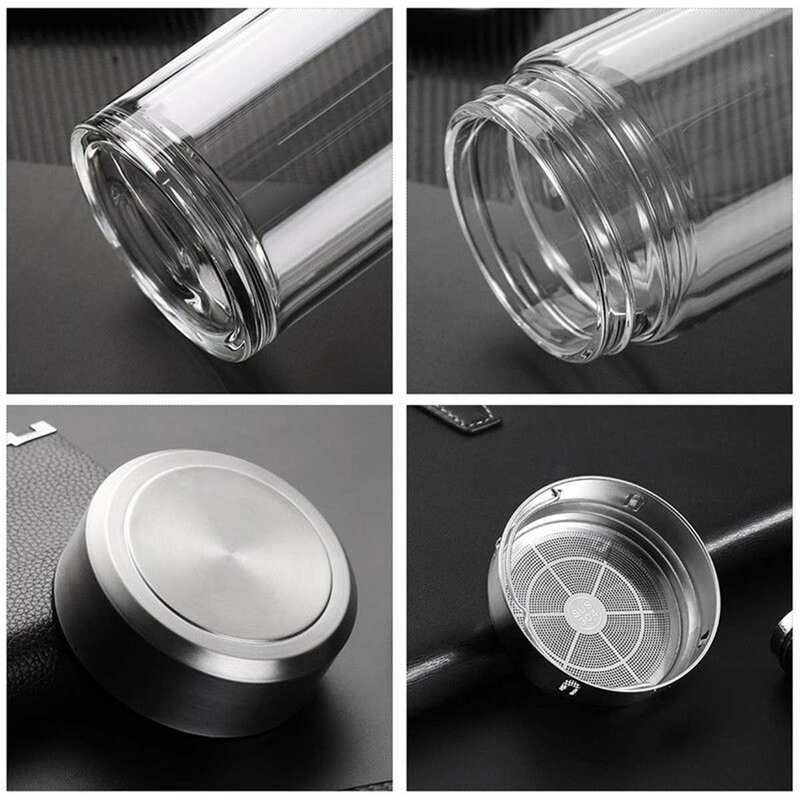 It fits nicely in your hand and in most cup holders.You can drink more water with this glass bottle. 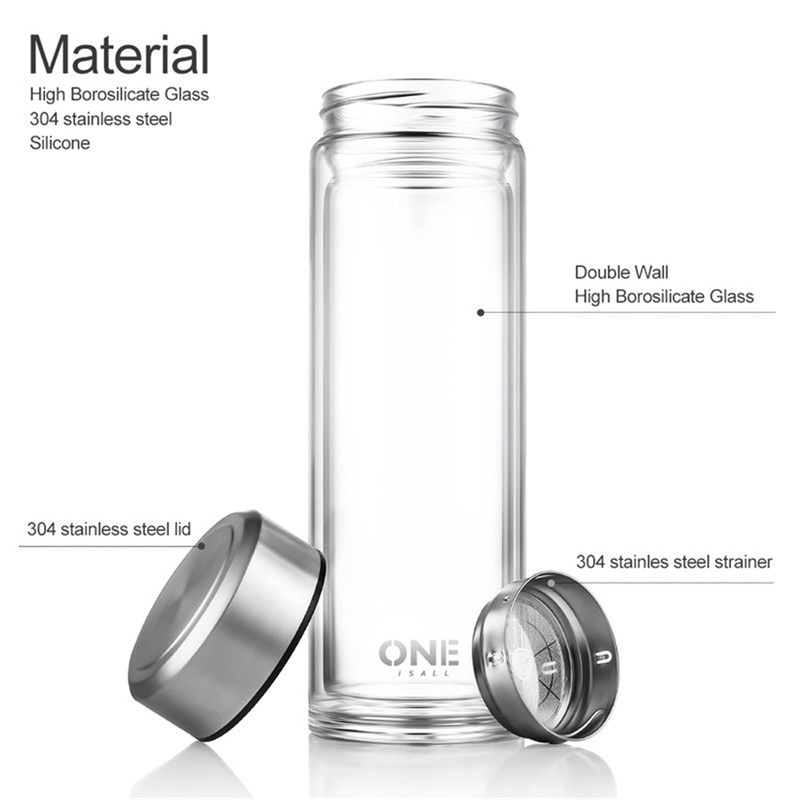 Safety material & eco friendly:This Borosilicate glass water bottle is totally BPA-Free and Lead-Free,made with high grade glass,304 stainless steel and food grade silicone ring,Borosilicate glass material can withstand temperature -20℃ to 120℃.No harmful plastic, chemical smells, or toxins. 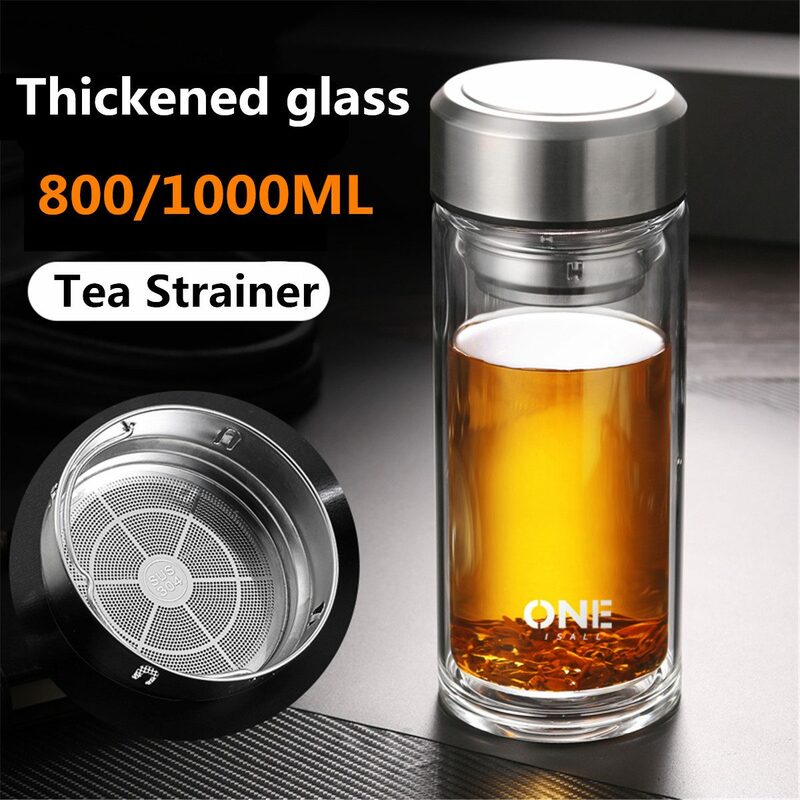 Multiple Uses:It comes with a removable tea filter,thousands of holes can effectively filter tea leaf and tea dregs,enhance the purity and taste of your tea,enhance the way you used to drink tea, detox your body, and improve your lifestyle! 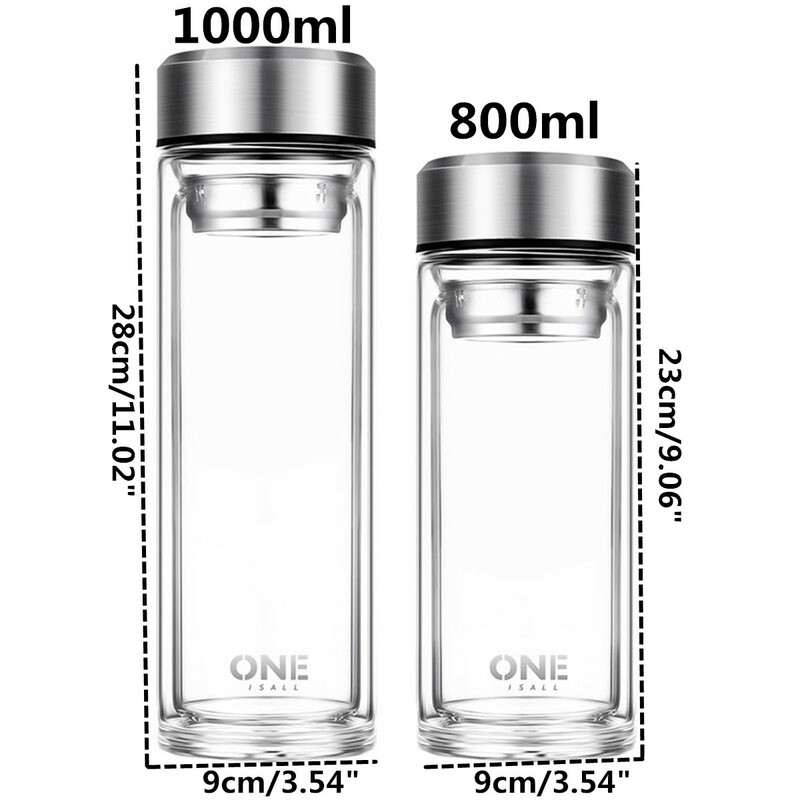 Our Glass Drinking Bottle is Perfect for loose leaf tea, fruit infusions, cold or hot organic coffee, cocoa, or flavored water. Enjoy at home or on the go, work or play. 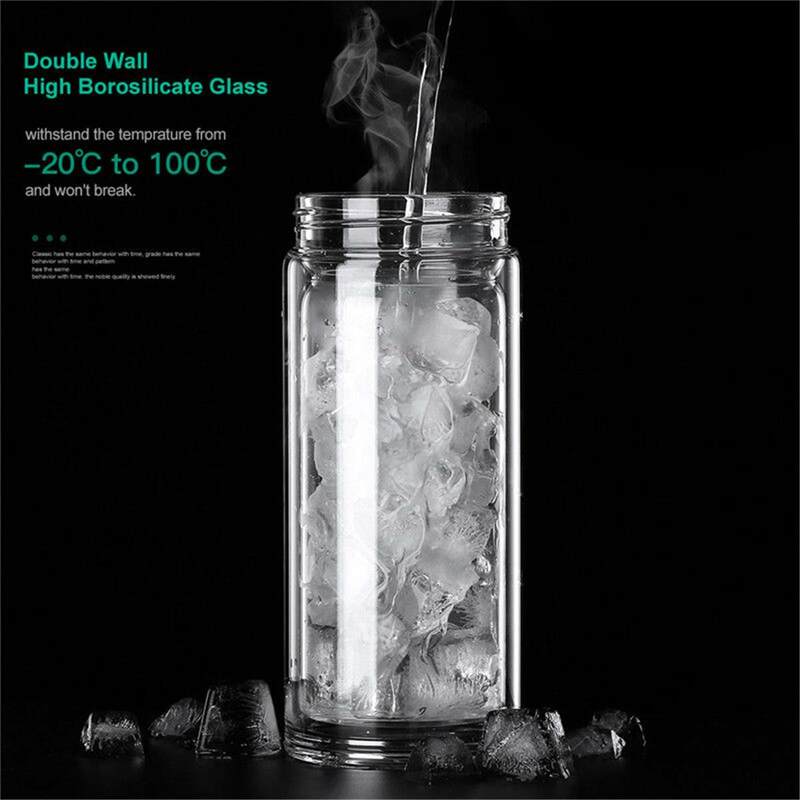 Durable & Leak Proof:Thanks to our double walled odor free glass tumbler. 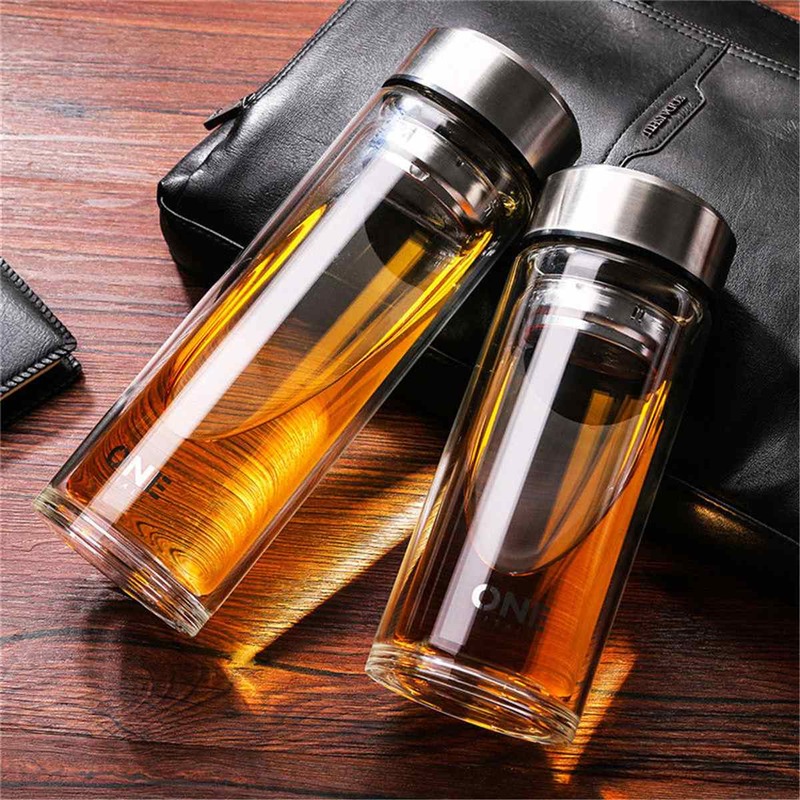 Keep your drinks cool or warm for much longer without sweating and leaking. 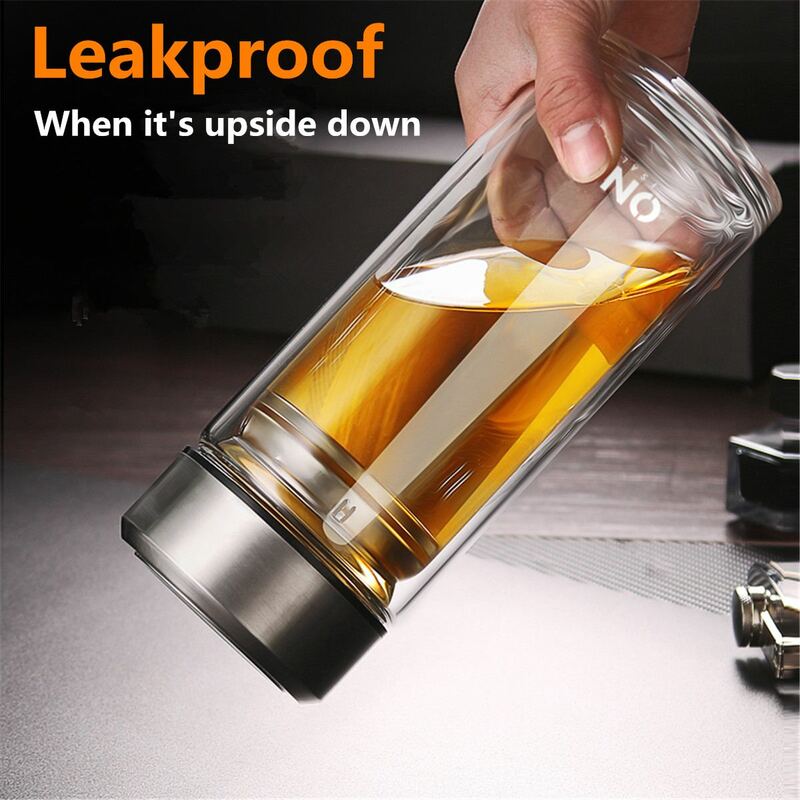 Our glass tumbler has a leak proof lid,with silicone ring,the flat lids keep the portable tea mug stable even if it is upside down,no leaking anymore. Devoted to provide good quality and eco-friendly tea accessories with durable and leak-proof feature. 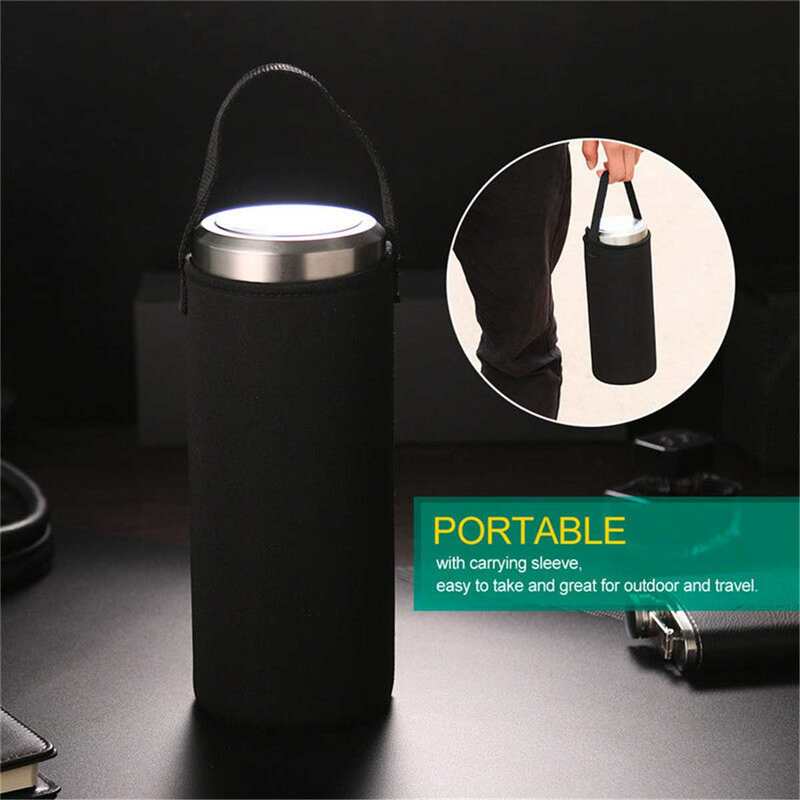 It is Perfect for home, car (it fits in your cup holder), yoga, gym, office or on the go.